A popular resort with British holidaymakers, Candolim boasts a superb beachfront location. An uninterrupted string of wooden beach huts line the sandy beach offering sun loungers and parasols for hire, plus a chance to sample local cuisine or enjoy a chilled Kingfisher beer. A beach lover’s paradise, and voted in the top 25 beaches of India in TripAdvisor's 2016 Travellers' Choice awards, Candolim Beach is one of the longest in the state, and has a calm and relaxed setting. Take a step back from the waterfront, and the sand dunes will lead you to the main Candolim-Calangute road, where you’ll find an eclectic mix of restaurants, bars and souvenir stalls, as well as some good Candolim hotels to choose from. 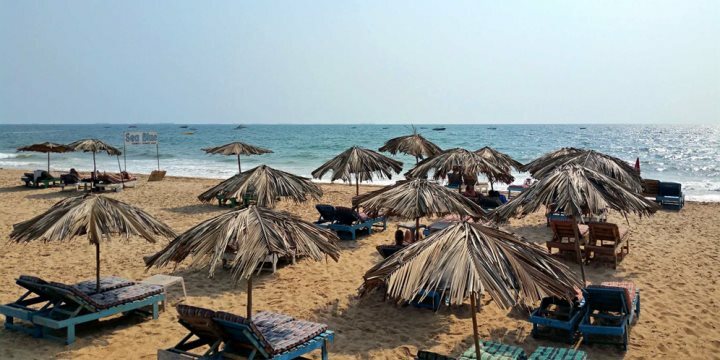 Candolim Beach is soft and sandy, decked out with sunloungers and parasols to offer some shade in the heat of the Goan sunshine. 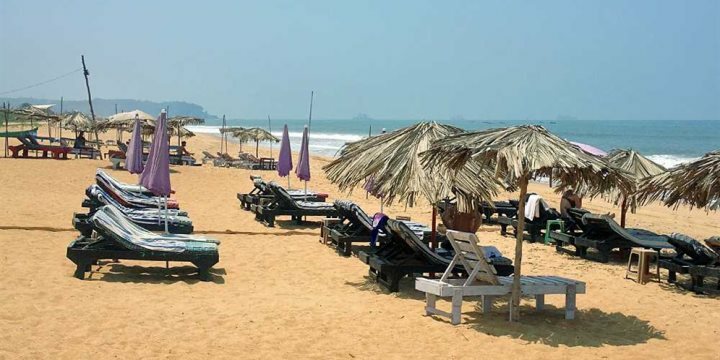 The beach is relatively busy, with both locals and tourists making the most of this attractive coastal setting, although it's an incredibly long stretch of coastline that journeys north to Calangute and Baga and south to Sinquerim. Beyond the beach, Candolim is also home to Aguada Fort, discovered at the southern end of the resort, providing a window into Goa's bygone eras. Situated only a few minutes’ drive from the bustling resorts of Calangute and Baga, Candolim is a great base from with to explore the most famous beaches in North Goa. Its location makes it an ideal place to stay if you also want to discover the highlights of Central Goa, including the bustling city of Panjim and the fascinating landmarks of Old Goa. Please find below a selection of our accommodation in the resort of Candolim in North Goa.